Wolfgang Pinner, Head of Country Coverage, becomes COO of BNP Paribas Leasing Solutions. These appointments follow the retirement of Christian de Nonneville, Deputy CEO. I would like to warmly thank Christian de Nonneville who, for almost 40 years, contributed to the successful development of the “Leasing” business line within the BNP Paribas Group. This new organisation of the BNP Paribas Leasing Solutions’ General Management team, is well positioned to realise the ambitions and goals we have outlined in our 2017-2020 mid-term plan”, added Charlotte Dennery. 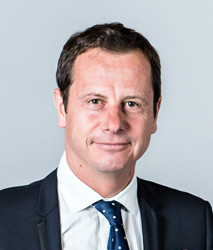 Xavier Viollet, Deputy CEO of BNP Paribas Leasing Solutions. Xavier Viollet, 60, an alumni of the “École Polytechnique”, joined BNP in 1988, where he held several roles within the French banking network: in charge of card payments, self-service and home banking services; Manager of the “projects” Division, Deputy Head of “Products and Markets”; Manager of the “e-business” Department. 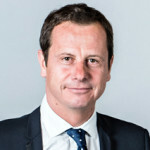 In 2002, Xavier became General Secretary of BNP Paribas Group IT, then, from 2007 to 2013, he was Head of Finance at Arval. He joined Leasing Solutions in September 2013 as Chief Operating Officer and a member of the General Management Committee. Since 2015, Xavier Viollet has supervised Finance, IT, Development & Strategy, Procurement, Digital Transformation and Structuring functions. Pascal Layan, COO of BNP Paribas Leasing Solutions, Head of International Business Lines. Pascal Layan, 51, is graduated from the “Institut d’Etudes Politiques” of Bordeaux and holds a Master’s degree in Business Administration. 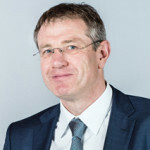 He became Sales Director “Technology Solutions” France of BNP Paribas Lease Group in 2000, then Sales Director of the “Technology Solutions” International Business Line in 2005. From 2008 to 2011, Pascal took up the responsibility of Managing Director of BNP Paribas Leasing Solutions Portugal. 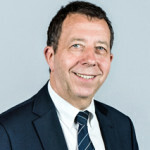 He was Head of Marketing in 2011, then, between 2012 and 2015, Head of the “Equipment & Logistics Solutions” International Business Line, Board Member of CNHi Capital Europe and Claas Financial Services, and Chairman of JCB Finance. Since 2015, Pascal Layan has served as Head of International Business Lines and a member of the General Management Committee. Wolfgang Pinner, COO of BNP Paribas Leasing Solutions, Head of Country Coverage. Wolfgang Pinner, 53, is a graduate from the University of Bonn (Germany) and holds a Master’s degree in Economics. 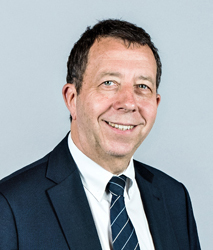 From 1989 to 2008, Wolfgang was Sales Director for Construction Equipment and Material Handling, Head of Credit and Wholesale Finance, then Head of the Joint-Ventures Management. In 2008, he joined Leasing Solutions Corporate Center where he was, during two years, Head of Partnerships and Joint-Ventures before being, from 2010 to 2012, Head of the “Equipment & Logistics Solutions” International Business Line. 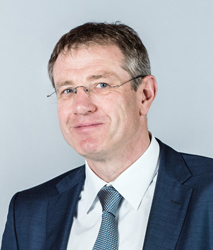 In 2012, Wolfgang assumed the role of Managing Director of BNP Paribas Leasing Solutions Germany. In 2015, Wolfgang Pinner was appointed Head of Country Coverage and a member of the General Management Committee.